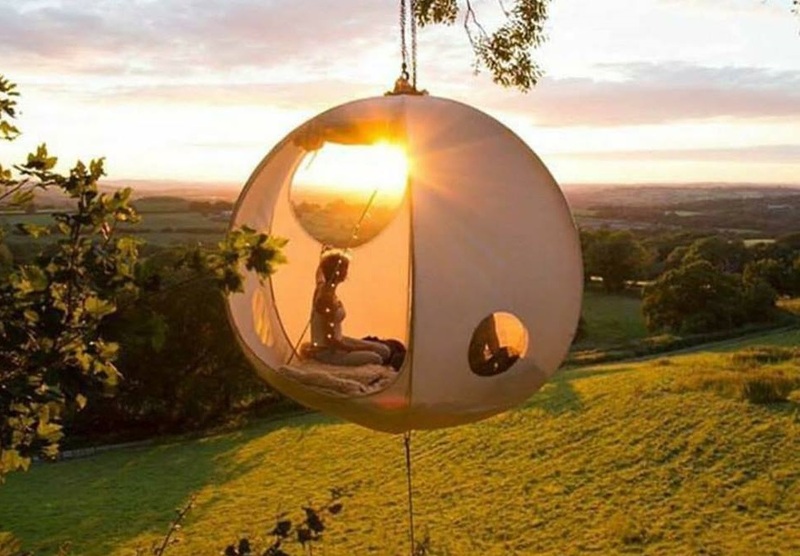 Have you ever gone camping in a tent? Yes, probably almost everyone reading this has. 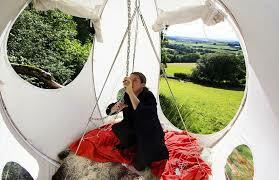 But what about unusual tents like this hanging tent pictured here? Beautifully hand crafted, the canvas can completely open up, revealing the world to the people inside. lightweight and fantastically well made the canvas will last in all weather. The floor is designed to be as portable as possible and yet maintain the high standard of the rest of the tent, made out of a light weight pine for ease of movement and capable of rolling up to access the storage below. The frame is made out of stales steel and so this means that it is strong and weather proof not only this. 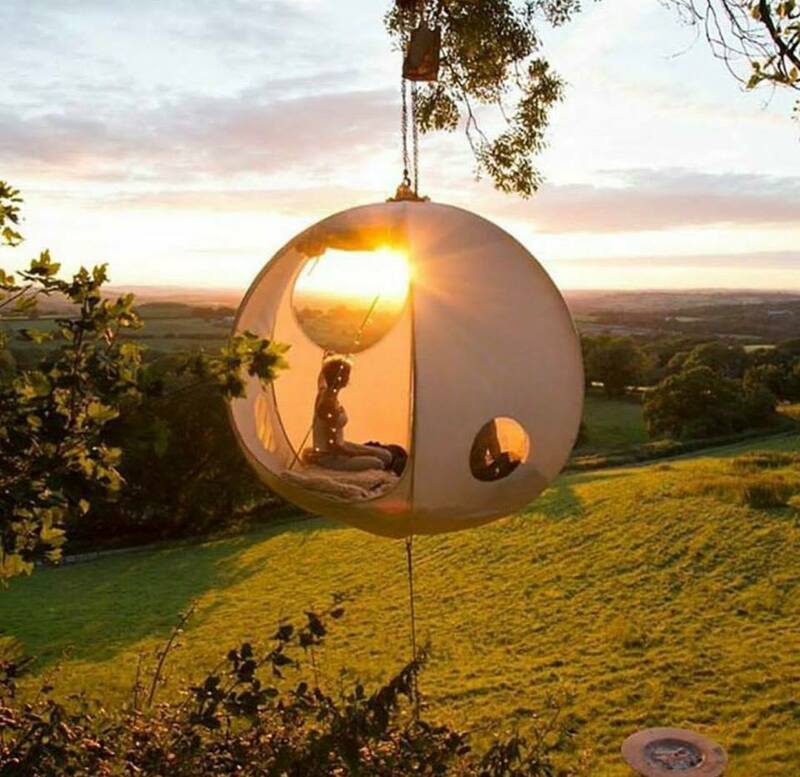 It collapses down to make the roomoon a viable option for long camping trips and festivals. the lightweight pulley chain through their hands to be lifted in to the canopies.